1949. 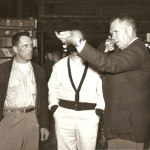 Lt. Col. Allen Shepherd completed his duties at Madison’s Truax field upon arriving home from Europe after WWII, then found himself assigned to Wausau, WI where he was happy to settle near Stanley Schaller, also a Vet and brother-in-law too. With expertise and an itch for outdoor recreation, the two set up shop downtown. An awesome photo of our founders is hanging above our front counter. Have you seen it? 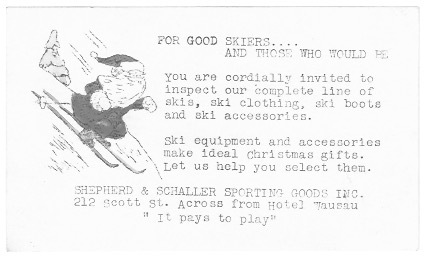 Shepherd & Schaller Sporting Goods, 212 Scott Street, Wausau, WI. 1949. 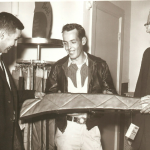 Founded by Allen Shepherd and Stan Schaller. 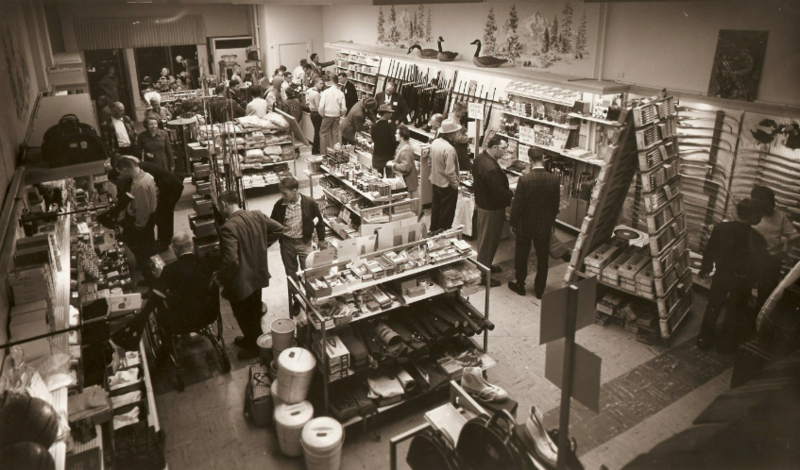 Shepherd & Schaller Sporting Goods’ first store was only a few hundred square feet but it was big enough to stock what folks in the area wanted for hunting, fishing, camping, skiing, diving, bowling and athletics. 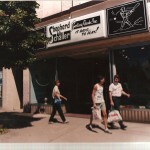 A new location up the block a few years later let them expand their offering as customer expectations grew. 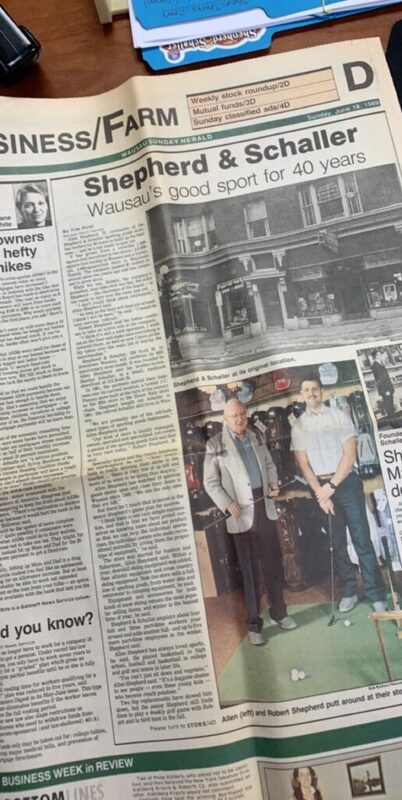 They had grown to become a destination and part of the heartbeat of Downtown Wausau at 324 Scott Street. Shep’s (as the locals know us) has always been about relationships. Al and Stan knew their customers by name. 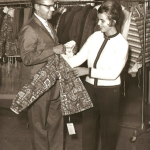 They rolled up their sleeves and served the community and the industry. 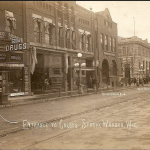 In no time at all, they were making their mark on the local, regional and national landscape, leading the local Rotary Club, chairing the Wisconsin Merchants Federation, and directing the National Sporting Goods Association, to name a few. Jump ahead 70 years. Shep’s has grown by a few thousand square feet (with the addition of the neighboring building) refined our product mix to Outdoor Specialty. 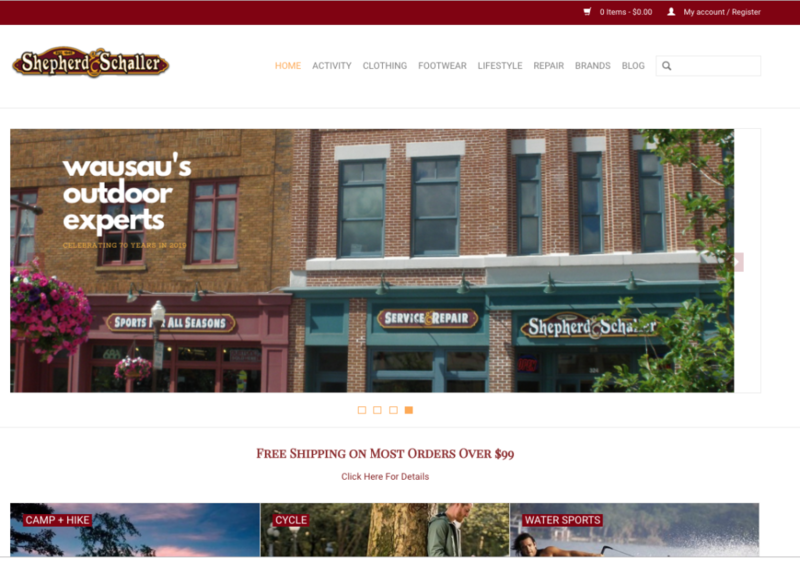 Repairs and rentals get full-time, expert attention, and an e-commerce site mean’s Shep’s sells nationwide. We’re still family owned and operated but as always our team is built of enthusiastic experts who play as hard as they work. We still support local teams and organizations with funds, time and talent. 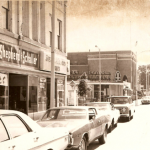 Our building is 120-years-old and was once home to the first JC Penney store east of the Mississippi. Some say it’s haunted (you can Google it). 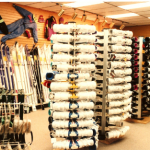 Our sales floor will remind you of a mountain ski shop. 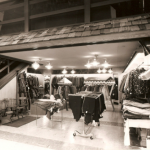 It features artifacts and furnishings from our long history – everything gets re-used. We modify our merchandise mix every season to stay ahead of trends. 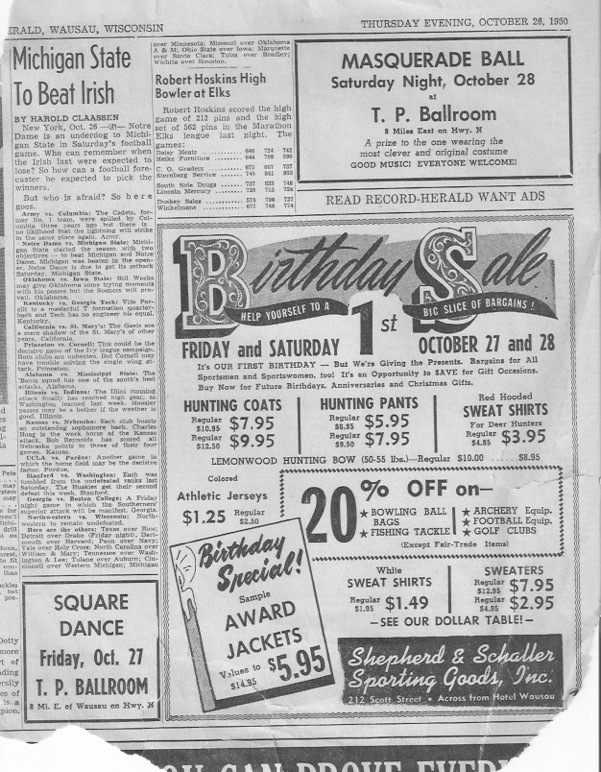 But what makes us truly unique is our 70-year history, which provides unparalleled insight into Wausau area culture, customer tastes and needs. 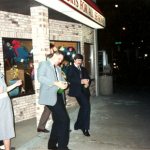 Our owner, Robb Shepherd, has been at the helm since 1986. 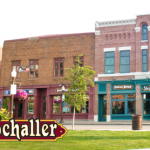 He grew our footprint with a second location in Wisconsin Rapids in the 1990s. 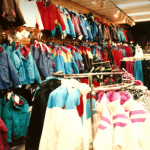 He’s known and respected by ski and snowboard manufacturers industry-wide and often serves as a consultant to Nations Best Sports in behalf of other small shops trying to complete with big box stores. As for the sports categories we’ve presented over the years? He walks the walk. 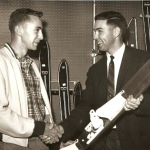 Our 10 full-time employees collectively have 120 years of retail experience to help customers have the best time possible on snow, trails, or wherever the outdoors takes them. Even if it is old fashioned, it’s been personal to us since 1949. 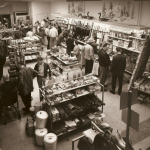 As we prepare our for our 70th Anniversary Celebration in 2019, where we’re going from here will continue to evolve, but our history will always flavor your experience shopping at Shep’s . We’re on Facebook, Twitter, Instagram, Pinterest. Please look for us there @shepssports. 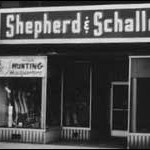 In honor of June’s theme “Throw Back Thursday”, we’re throwing it back to the early years of Shepherd & Schaller. 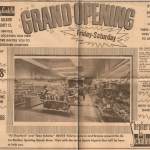 Not all businesses can pull out newspaper ads from six decades and re-live the old memories of time past, but Shep’s can. Believe us when we say we’ve been doing this a long time. 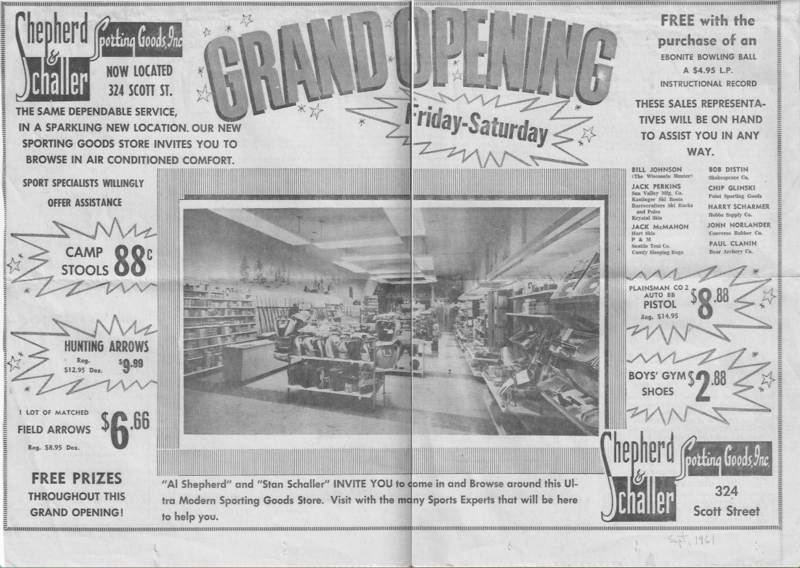 🙂 Take a peek below and notice how much Shep’s has evolved over the years. 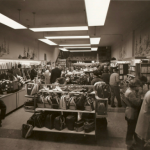 Changing and growing our store to meet our customer’s needs and wants is one of our favorite things to do. 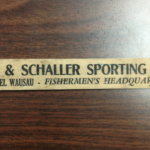 Allen Shepherd and Stan Schaller opened their sporting goods store in downtown Wausau in 1949. 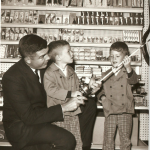 The store is still family owned and operated. Here’s a little walk down memory lane. 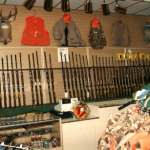 Hunting, fishing, bowling, skiing, awards and more! 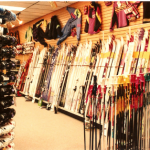 Water skis and snow skis. 1961. 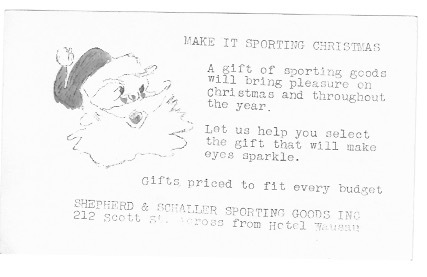 Hunting department, Shepherd & Schaller 1989. Sportswear for the sport minded. 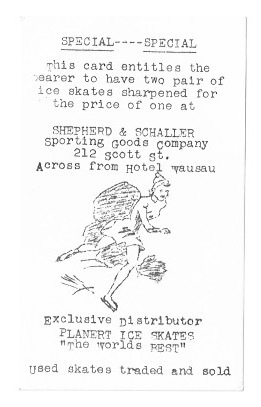 Shepherd & Schaller, 1961.